The one who controls the Internet's Domain Name System (DNS), whoever he might be, possesses the technical capability to misdirect, any specific Internet's single user, who attempts to gain access at a specific web page, to a corresponding, rogue and/or adulterated, web page; without, this user, being able to even notice this misdirection. The involuntary access of the, rogue, and/or, adulterated, web page could cause, either, misinformation to show on the display screen of the user's computer, or, malicious/illegitimate data files to become stored, unnoticed, into its memory/hard-disk-drive. A, potentially, unsuspected and misinformed and/or unsuspected and involuntary currier of malicious/illegitimate data files, Internet's user, theoretically, could get into unjust troubles of, almost, infinite kinds. The vulnerability of, each and every, Internet user, from a potential misconduct, on behalf of those, whoever they might be, which control the DNS, remains undeniable and unavoidable; and for this reason, whoever might, undertake and exercises, the DNS's governance, without, voluntarily, providing, complete transparency and complete accountability, to the Internet's users, he should, probably, become burdened by, moral and legal, consequences. The human life is sacred and not an, eligible for bargaining, trading and consuming, commercial commodity. P.S. : According to my knowledge, Jon Postel tried, honestly, to protect the Internet users from the arbitrary governance that powerful States could exercise. Icann will get the “keys to the kingdom”, as one expert put it, on 1 October 2016. From that date, the US will lose its dominant voice - although Icann will remain in Los Angeles. Users of the web will not notice any difference - that’s because Icann has essentially been doing the job for years anyway. It’s that final detail that is set to change from October. No longer will the US government - through the NTIA - be able to intervene on matters around internet naming. In response to worries about abuse of the internet by foreign governments, the NTIA said it had consulted corporate governance experts who said its the prospect of government interference was “extremely remote”. "The community’s new powers to challenge board decisions and enforce decisions in court protect against any one party or group of interests from inappropriately influencing Icann,” it said in a Q&A section on its website. Jon Postel, a key figure in the development of the Internet from its inception, died at the weekend of heart problems aged 55. Though he wielded immense power in helping to set technical standards, particularly in the area of domain names, he worked behind the scenes, shunning publicity, and never made a fortune from his pioneering position. "Jon could have been a millionaire. It just wasn't his bag," said Professor Dave Farber, who teaches telecommunications at the University of Pennsylvania and had been Postel's thesis adviser. He was not elected to the position of responsibility he held in the Internet community - he was simply, in the words of the White House's Internet policy adviser, Ira Magaziner, "the guy they trust". "He really was the most powerful person on the Net," Professor Farber said. "He came by that power legitimately, as the only person who could command the respect and loyalty of the whole community." 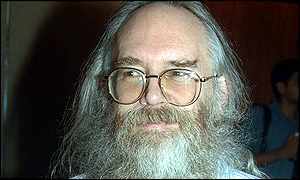 The Economist magazine said, simply, "if the Net does have a God, he is probably Jon Postel." He began working on what became the Internet in 1969 as a 25-year-old graduate student at UCLA. He went on to edit the Requests for Comment which become the Internet's technical standards. It was not until late in his life that the extent of his influence was understood outside the technology community, and his power was questioned by commercial interests. In 1997 he touched off a debate over how names for Web sites and other internet resources are distributed. At present, if you want to create a Web site in the .com, .net or .org 'domains' - http://www.bbcnews.org, for example - you have to register the name with an American company, Network Solutions, and pay a fee. As the number of organizations going online has grown, disputes have arisen over ownership of those names, and Network Solutions' monopoly has been attacked. Mr Postel suggested an alternative, and his plan inevitably came under fire from competitors. "It's not appropriate for a single individual like Dr Postel to make those policy decisions," a Network Solutions executive said earlier this year. Among his responsibilities was assigning all the numbers that go with Internet names, through the Internet Assigned Numbers Authority which he formed and heads. In early 1997, as the US government was discussing domain name alternatives, he used this power to transfer control temporarily away from Network Solutions to his own server. No disruption was caused to the running of the Internet and he said he was merely testing the technical feasibility of any future hand-over of power, but critics accused him of sabre-rattling. "I'm not on any power trip," he said. He always maintained that he was motivated solely by the public good and that decisions on domain naming "have to be made fairly and with the long-term benefit of the Internet community in mind". This philosophy and his contributions will play a critical role in shaping the future of the Internet, for years to come. His style was famously casual - in the early 1970s, he was sent to help the US Air Force with its computers and was ordered to wear shoes before he entered their plane. Among his other interests were hiking, backpacking and reading British detective stories. A modest man, when told people might be interested in what kind of person he was, he once told an interviewer, "If we tell them, they won't be interested any more." He is survived by a brother, Mort Postel and a partner, Susan Gould. DNS hijacking or DNS redirection is the practice of subverting the resolution of Domain Name System (DNS) queries. This can be achieved by malware that overrides a computer's TCP/IP configuration to point at a rogue DNS server under the control of an attacker, or through modifying the behaviour of a trusted DNS server so that it does not comply with Internet standards. These modifications may be made for malicious purposes such as phishing, or for self-serving purposes by Internet service providers (ISPs) and public/router-based online DNS server providers to direct users' web traffic to the ISP's own web servers where advertisements can be served, statistics collected, or other purposes of the ISP; and by DNS service providers to block access to selected domains as a form of censorship.